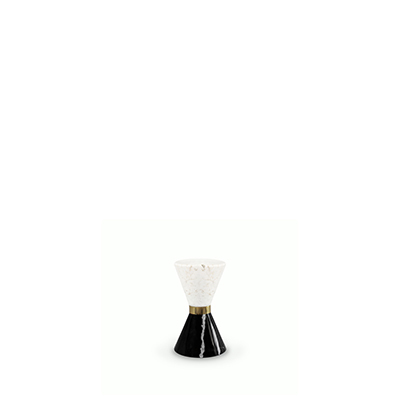 Side tables are one of the most utilitarian pieces of furniture one can own. 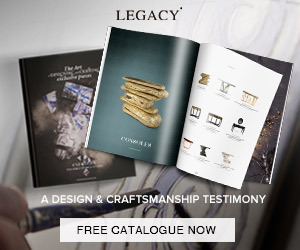 For the most part, they serve a functional purpose — offering a spot to rest a cup, book, or your phone — but it’s generally the decorative pieces, lamps, and art we store on top that take the principal role when it comes to adding style and beauty. 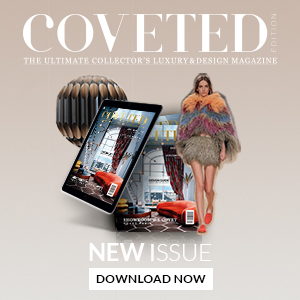 In this article, you will have the chance to discover a selection of side tables that will surely make a difference to improve your living room design. In a contemporary living room, a side table can make a huge statement, especially if it’s bold and stands out for itself. Mixing the old with new, Newton side table is an insightful combination of grandeur and playfulness. Newton adds a classic yet modern appeal to any setting specially if you place it besides a contemporary chair. This side table represents a part of the tree of knowledge and the tale of the birth of desire. Fully made of polished casted brass, with a delicately engraved top exposing the heart of a golden tree to the very heart of a home. 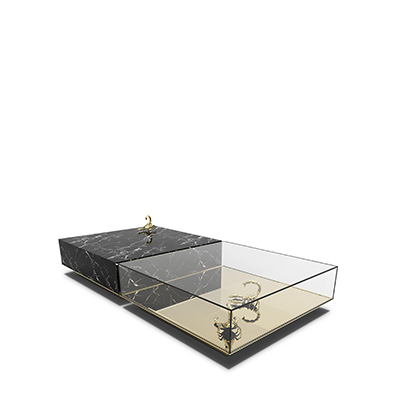 Made with the highest quality of brass and Nero Marquina marble, Empire side table wins a new form. It’s a versatile item which gives a sophisticated ambiance to any setting, from the living room to an entrance or a bedroom. 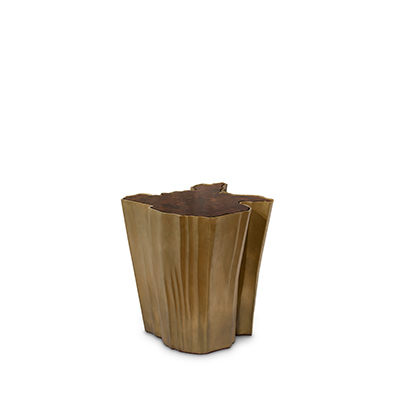 With a base in brushed aged brass and a top in marble, this round side table by BRABBU will add refined elegance to any modern interior design. 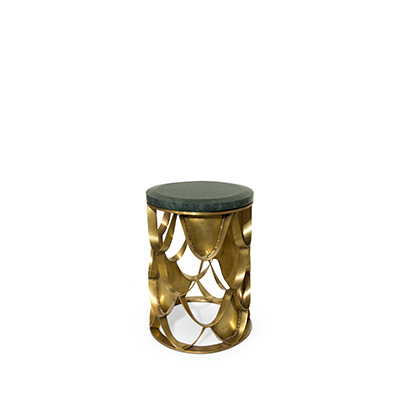 Koket artisans have masterfully captured the alluring essence of an enchanted forest with this side table. The antique gilded branch-like structure can’t help but mesmerize the beholder. 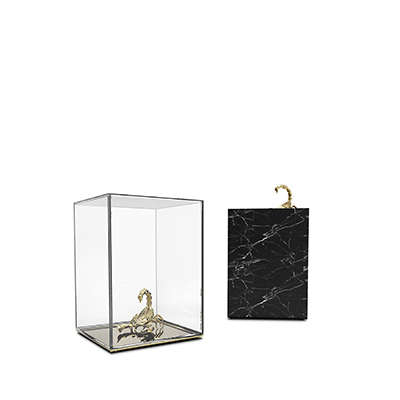 Vinicius is an hourglass-shaped side table finely produced in Nero Marquina marble and polished Estremoz marble. By Essential Home. Influenced by the impressionist movement, and paying tribute to one of the era’s greatest painters, Boca do Lobo’s Monet side table is a sophisticated furniture piece with a modern design twist. 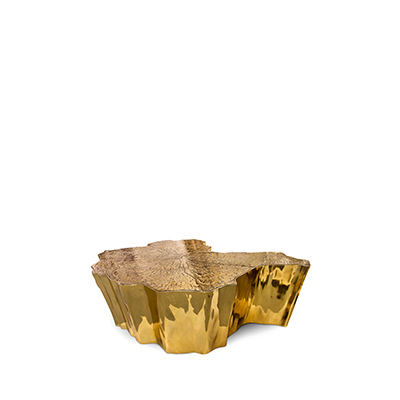 This Boca do Lobo’s piece promises to elevate your living space to the next level. The metallic hues make an elegant contrast while beautifully combine and pay tribute to the Neolithic and Bronze Age.